Gabriele Cioffi has addressed his inexperience as a manger. This is the 42-year-old's first job as a manager, but the new Crawley Town head coach believes his is ready for this adventure. His previous coaching experience was at Birmingham under Gianfranco Zola and after Dermot Drummy and Harry Kewell, Reds fans were worried this could be another risky appointment by the club. 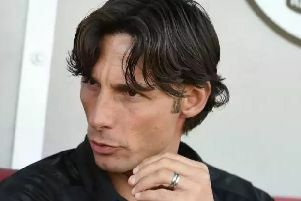 But Cioffi said: "The experience is done from mistakes and at the moment I have already made mistakes. "But I feel ready for this adventure. But I don’t want to make a connection between what I am now and my past and experiences I had with other managers. "I can telI them that I feel ready and I just have to show them I am ready."